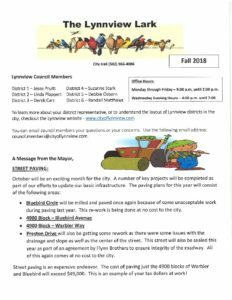 PAVING to begin on city streets 4/18/2019 and will end approximately 4/30/2019. NO PARKING on Roadways between 7:00am and 7:00pm. Vehicles will be towed at owner's expense.